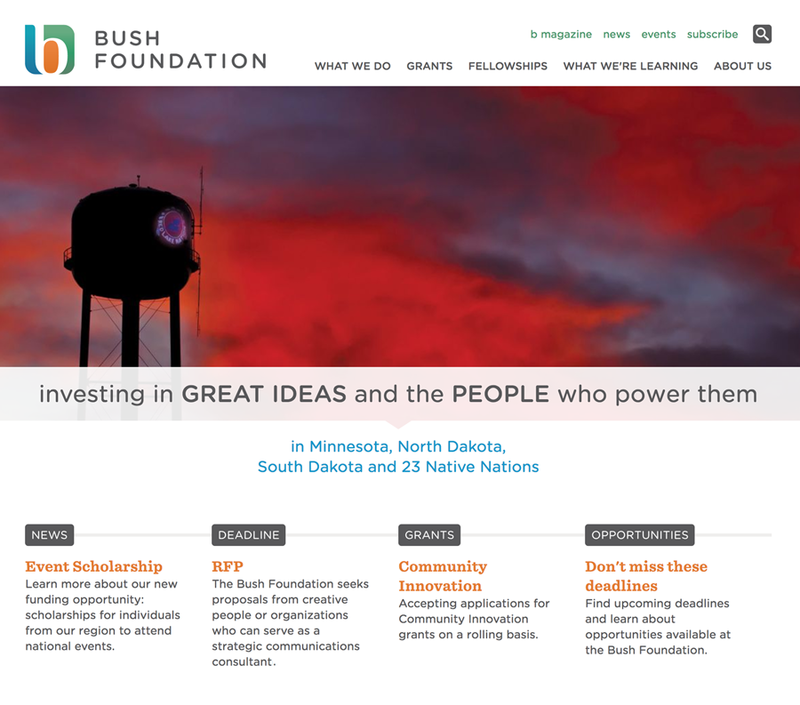 The Bush Foundation invests in great ideas and people from Minnesota, North Dakota, South Dakota and the 23 Native nations that share the same geographic area. We design, develop and maintain a number of websites for this extraordinary organization, including their main site, their magazine and their annual event, bushCON. We also integrated their Drupal site with a Salesforce grantmaking database to help provide more transparency around fellowships and grantees.